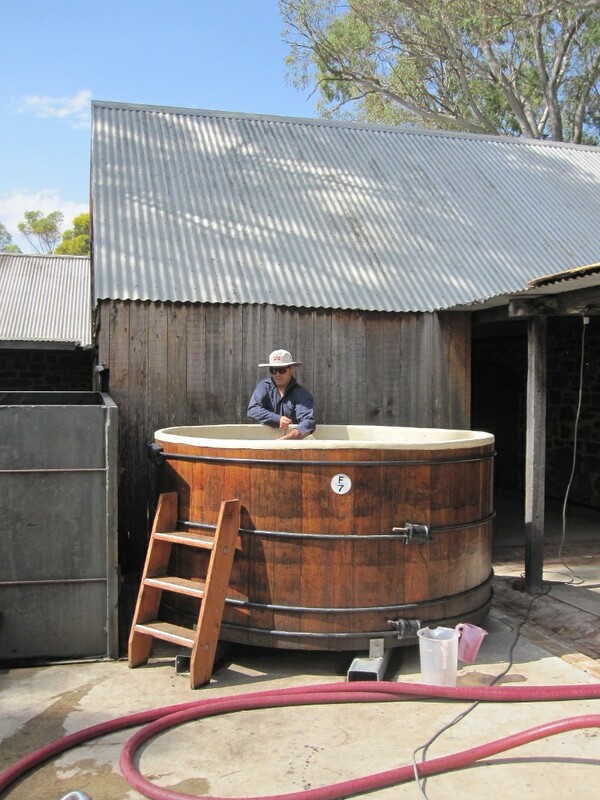 Although Australia is the ‘New World,’ I was surprised when I visited recently to see how, at least in the Barossa Valley, they like to make wine the old fashioned way. 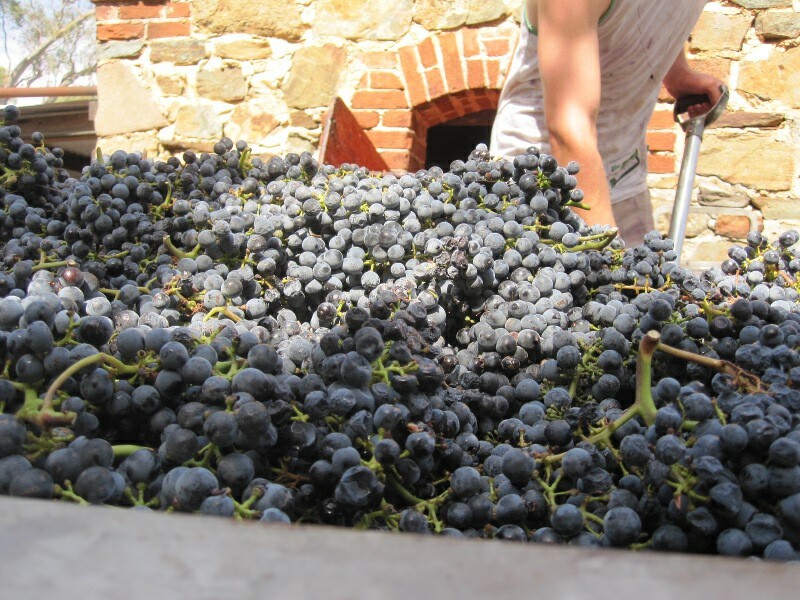 It seems like many of the boutique producers there put a lot of effort into using grapes and making wines that both have a history in the region and in a very traditional style of winemaking. 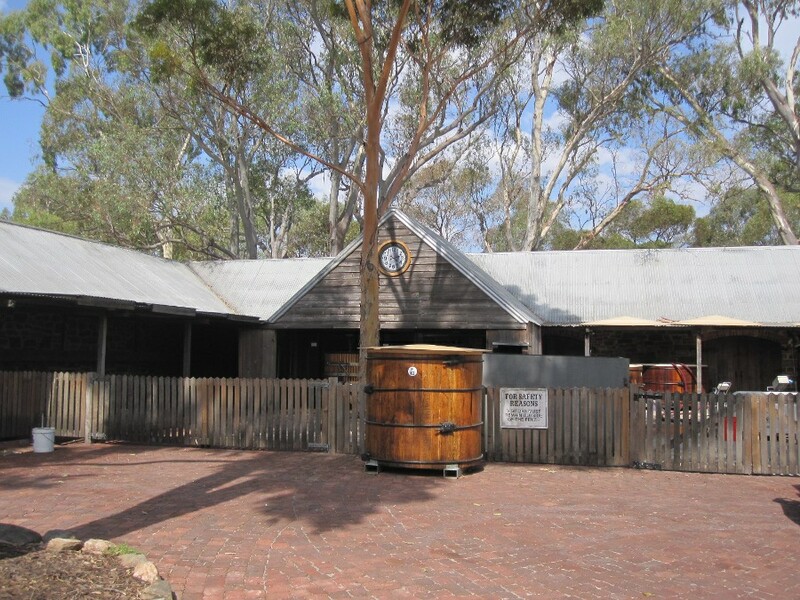 Rockford Winery is one of those that takes great pains to remain true to Australia’s grape growing history. 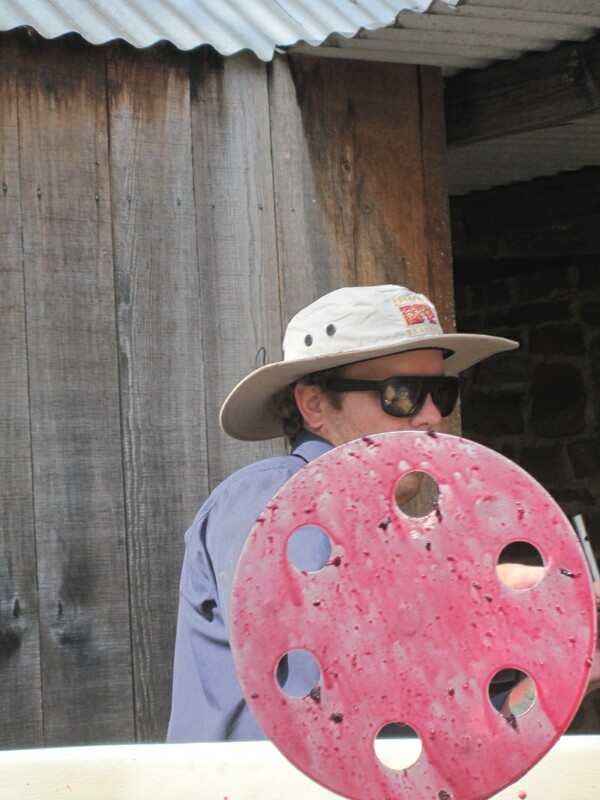 Robert O’Callanah started making wine in 1984 but originally bought the circa-1850’s stone settler’s cottage in 1971 and gradually built his winery around the cottage and in the same style. 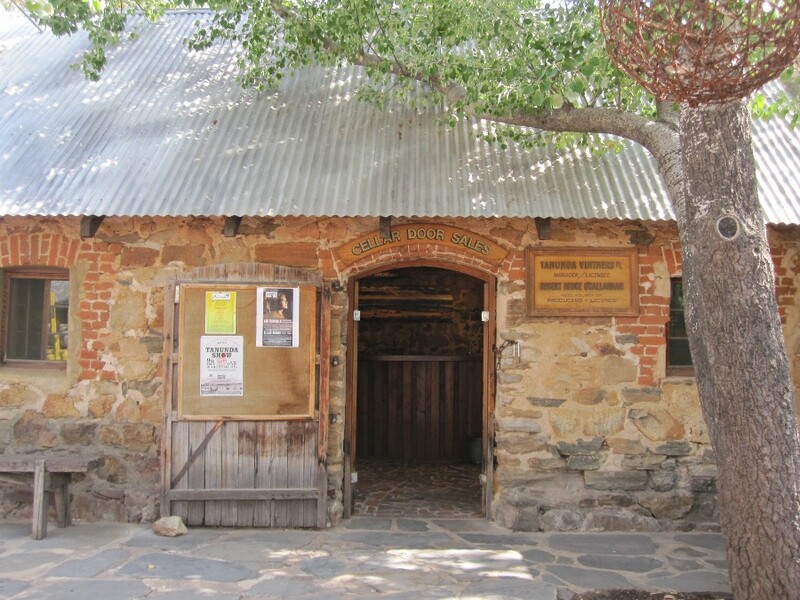 I immediately was charmed by the low slung stone buildings that comprised the winery. 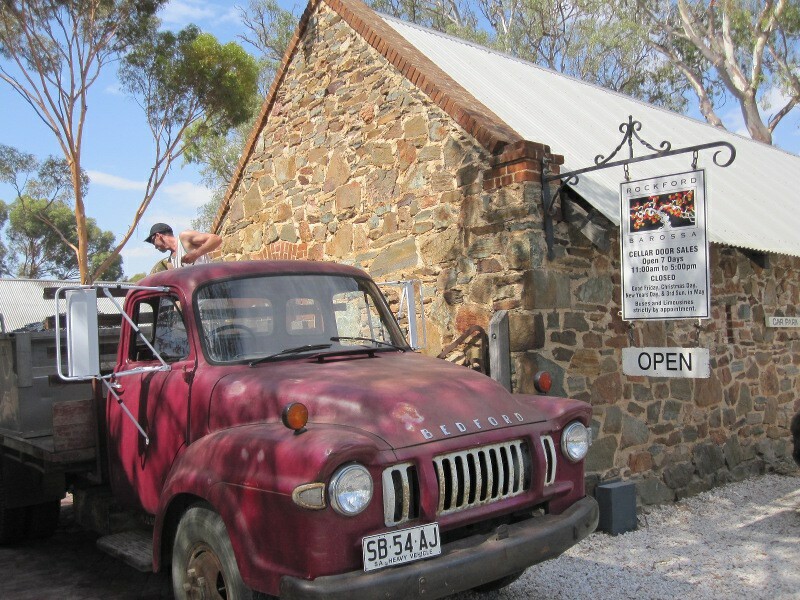 I visited during harvest which is one of the best times to visit a winery in my opinion and the action was in full swing when we pulled up to the entrance. 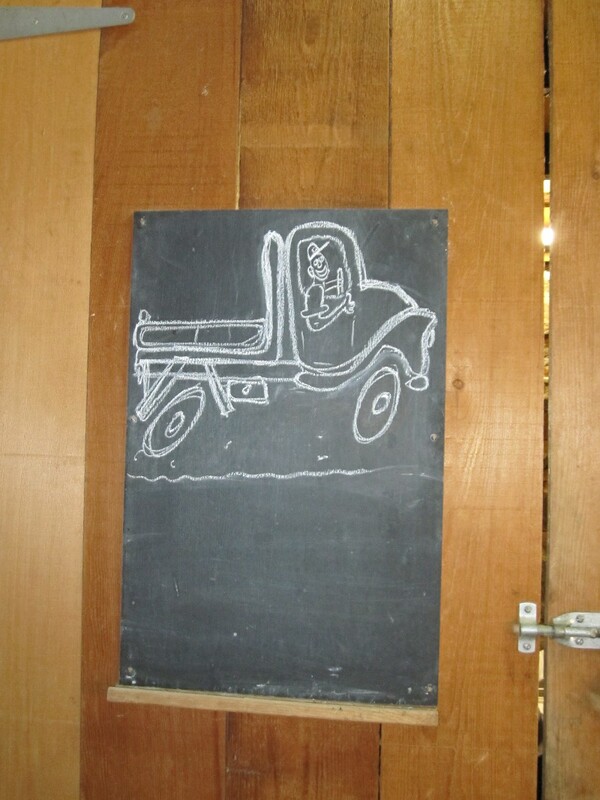 As a matter of fact, the entrance was blocked by the old pickup truck used to haul grapes to the winery. 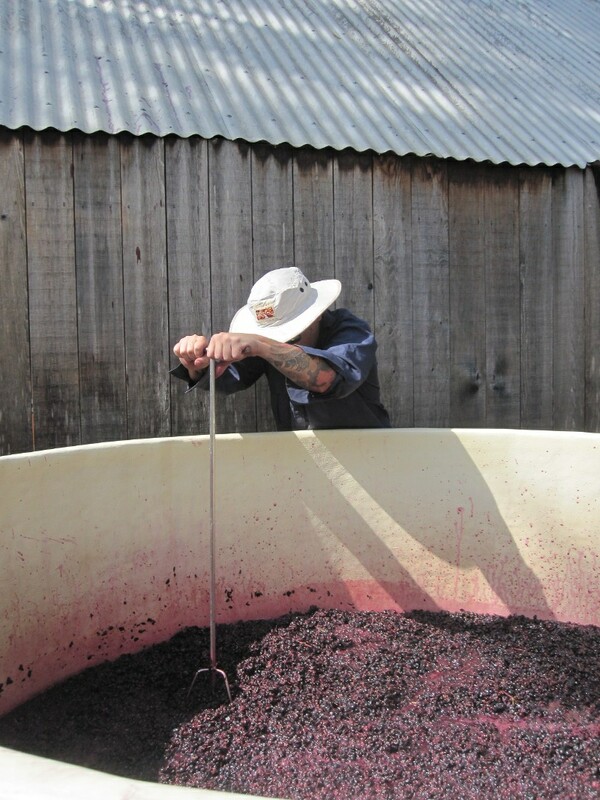 A cellar rat was busy heaving pitchfork fulls of shiraz grapes from the bed of the pickup into the mouth of the 100 year old destemmer as we walked by. 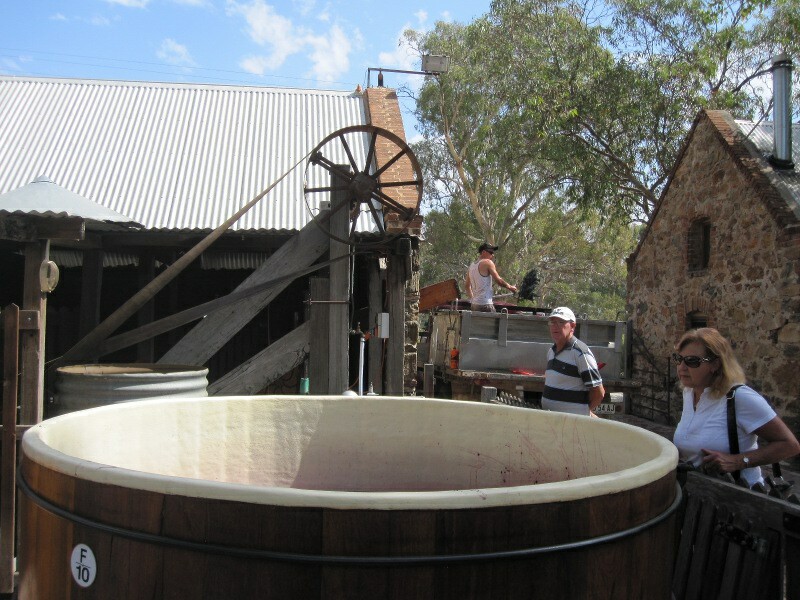 As well as the destemmer, there was the traditional Bagshaw crusher and within say 5 metres, were assorted open fermenters, tanks and the barrel room. It is a compact winery, to say the least. 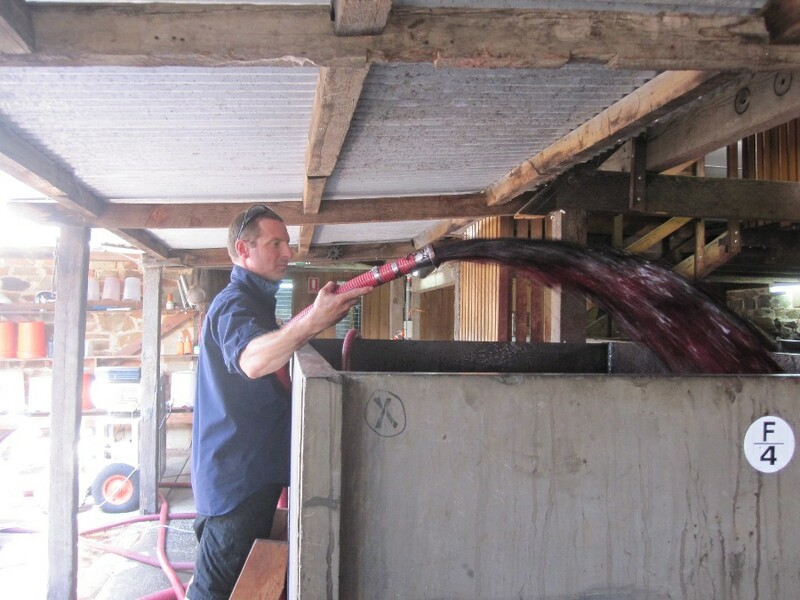 That day they were working with shiraz and there were various open tanks, including slate tanks, at different stages of fermentation. After the tour, I tried a variety of Rockford wines. 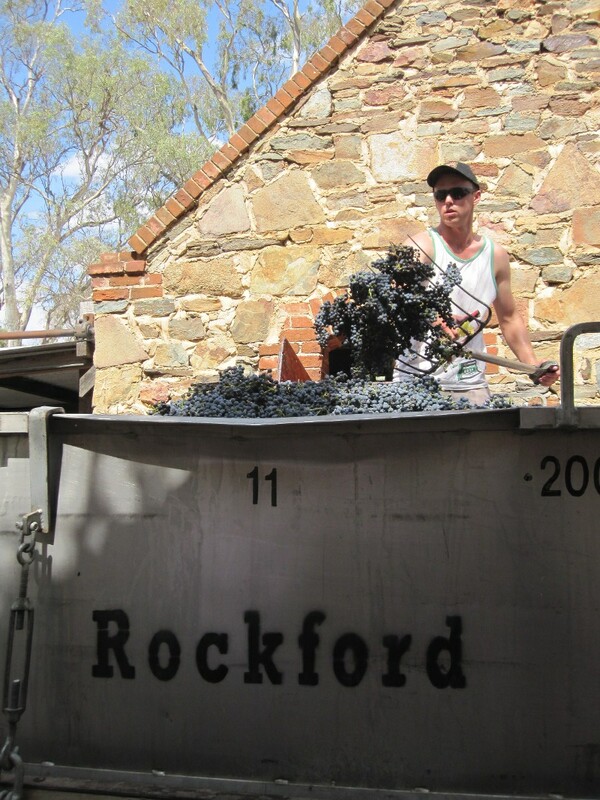 Robert wanted to stick to the grapes that were originally grown in the area and so he makes his wines from shiraz, cabernet sauvignon, grenache, mataro, semillon, riesling, white frontignan and the one exception to the rule, alicante bouchet. 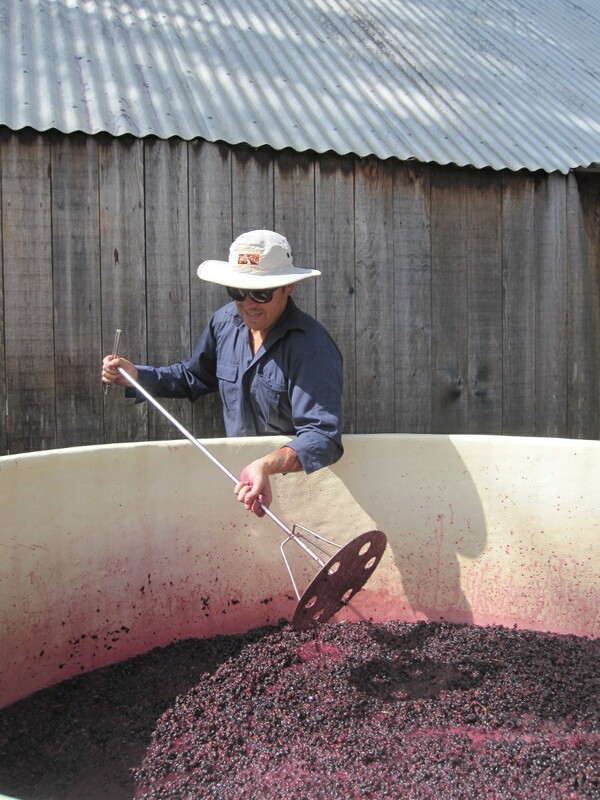 Robert had worked with that grape in France and thus wanted to make wine in Australia using that variety. 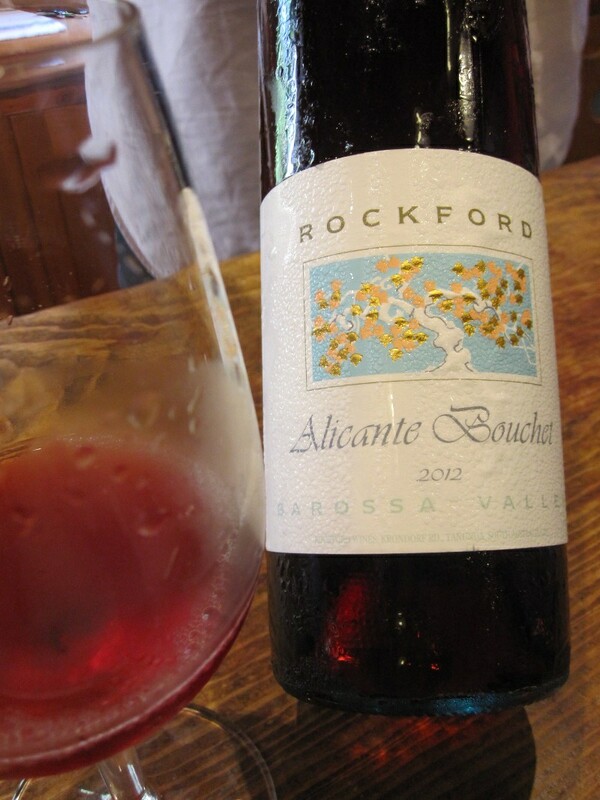 I don’t know if it was because it was a hot day but the alicante bouchet was a cool drink of wine. 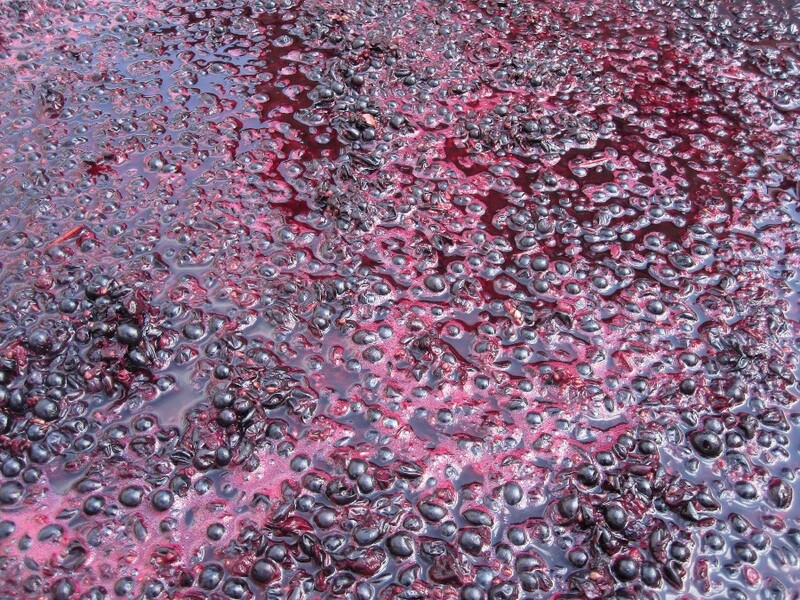 Fresh and full of strawberry and ripe cherry flavours, despite its pale red hue, there is little tannin extraction because usually, the flesh and the juice of grape is red not only the skin. Because of that, despite no skin contact, the wine has a lovely colour. 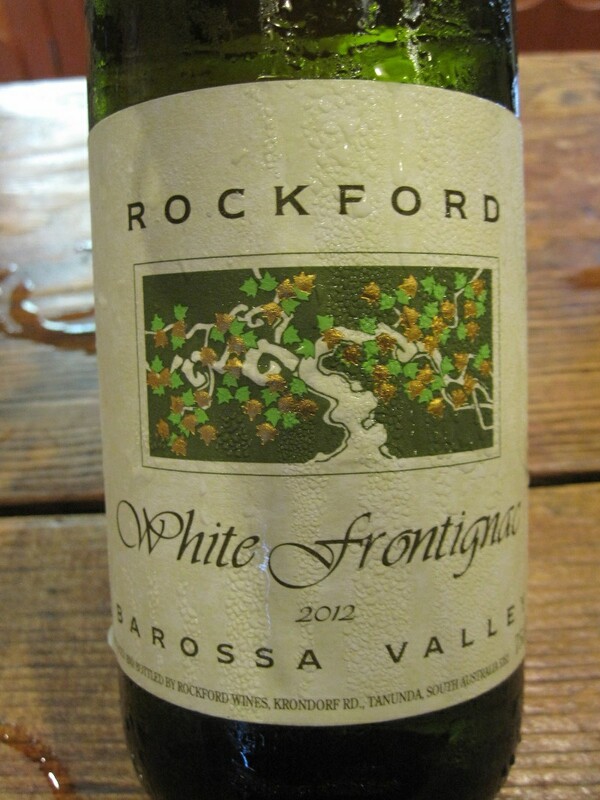 The wine has a small bit of residual sugar but balance acidity which makes this wine a good match for Asian cuisine. An interesting note, technically it’s a red wine and not a rose as there is not skin contact. 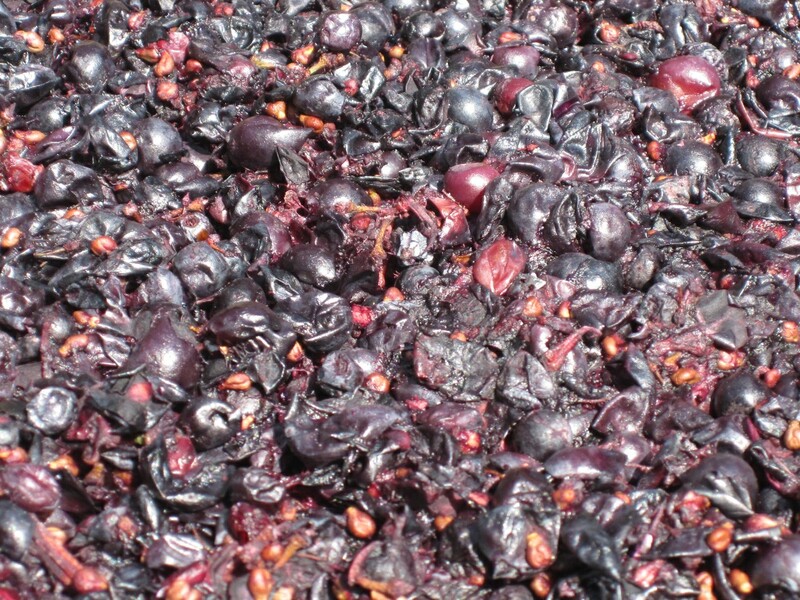 The other wine that intrigued me was the white frontignac, also known as Muscat a petit grains, it’s usually used as a blending grape to produce vin deux naturels as well as being the primary grape in Muscat de Baumes de Venise. 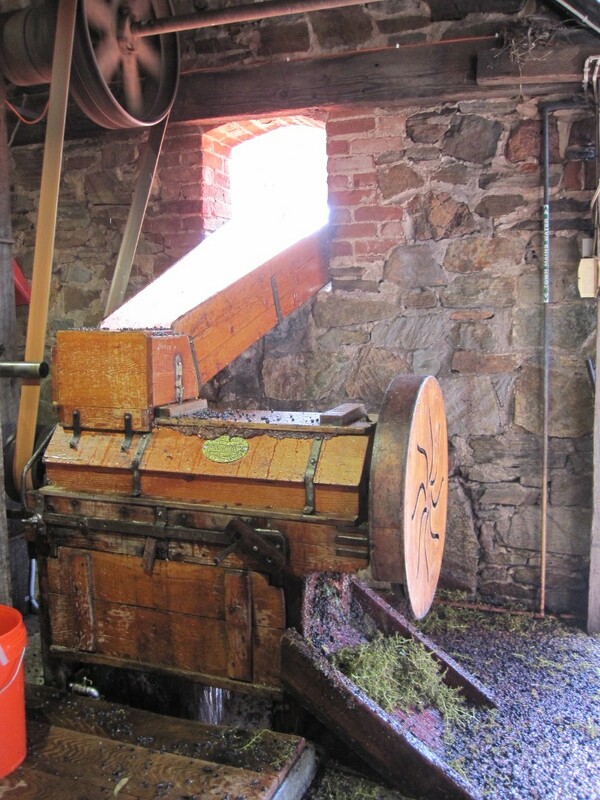 At Rockford it was originally planted to make a fortified wine but today they produce a dry frontignac. Aromatic but dry, it was light and fruity, full of honeysuckle and roses and at only 9.5% alc, a great wine to drink while it’s young and fresh. I enjoyed both my visit to Rockford Winery and all their wines but these two were by far the most interesting from my point of view. I’d like to thank Rockford for taking the time to show me around their traditional winery and the intriguing and surprising wine tasting.